You’ve probably seen them being sold in stores or beauty boutiques. They look like fancy candles but cost a bit more. So what are the benefits of soy candles that makes then worth more than your regular paraffin candles? But before we begin, we need to explain some things. For starters, what are soy candles. Soy candles are very similar to regular candles. 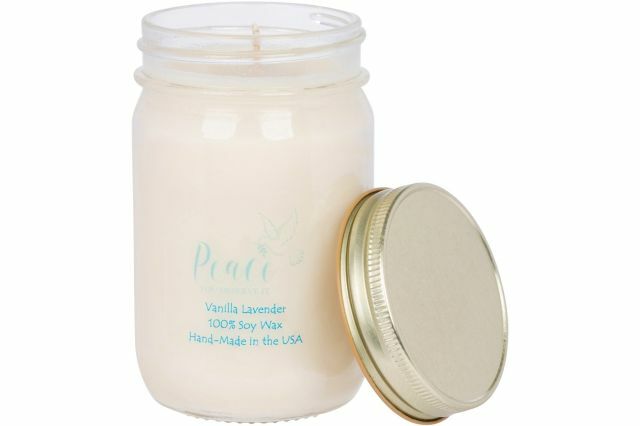 But instead of the regular paraffin or other wax alternatives, soy wax is used in their place to make the candles. Soy wax is made from processing soybean oil. And because of this is it more natural, and safer than many of the other waxes used to make candles. Soy wax also has a lower melting point compared to traditional waxes. To give you a better idea of how soy candles work, we have a quick, easy to follow video on making soy candles. You can actually follow the steps to make your own decorative soy candles at home and customize them with the fragrance or scent you like. Plus, you get to decorate the jar or container the way you want. You can make these for your own use at home. Or, give them to friends and loved ones as gifts on special occasions. They’re perfect for that. Now that we know what soy candles are and how they’re made. It’s time to see why they’re better than your traditional wax candles. 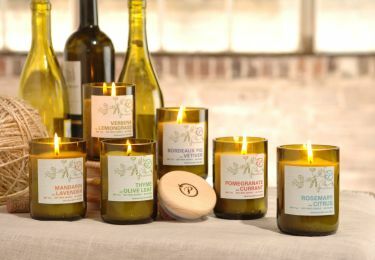 Soy candles, as mentioned earlier, are made from soybeans. This means you’re using wax that’s made from natural materials and not synthetic, which is better for you and your family. Many local farmers grow soybeans which are a natural and renewable source for many food products and the soy candle. Other candles are created from paraffin which comes from the nonrenewable source of petroleum. Petroleum contains carcinogenic substances which may be released into the air while they burn. The soy candle is not only a safer burning candle, it helps to support local farmers and provides them an income from their growing operations. The soy wax candle comes from the oil of the soybean. Once the farmers harvest the soybeans they are cleaned, hulls are removed, cracked, and then rolled into flecks. The oil needed for the soy wax comes from the flecks and is then hydrogenated. Since this process makes the candle naturally biodegradable it also makes them easier to remove from materials and other surfaces if they should be spilled. They soy candle that is made from 100% soy and not blended with beeswax or other wax and is scented with essential oils rather than chemicals are then an all-natural candle. In today’s world more and more people are seeking the all-natural over chemical products and the soy candle is a perfect fit. The paraffin candle does not burn as long as the soy candle will. This soy candle’s longer burn is due to the slower burn time and the cooler temperatures of the soy based wax while lit. Wax made of soy is biodegradable so you are also making an investment in the environment by using the soy candle. The price of soy candles is often more expensive than the paraffin, but they are more affordable in the long run as they last much longer. Of course, you can easily cut their costs down by following the video and making your own at home. Another advantage to the soy candle is they burn much more evenly and leave little excess wax when they are finished burning. When you burn a soy candle you will notice there is little to no soot escaping into the air. These candles burn much cleaner than the paraffin candle and will not leave a residue of soot on your walls or other surfaces in your home. If you are someone who burns a lot of candles, you will notice over time how the paraffin wax can discolor your walls and furniture. The soy candles burn longer with less mess and are also non-toxic. You never have to worry about unhealthy air in your home when you burn the soy candle. Essential oils are often used in the soy candle. This works well as the soy candle holds the scent of the oil and with the slow burn it releases the scent gradually. You won’t get the immediate strong wave of scent as the soy candle does a slow and continuous release of scent to create a more pleasant atmosphere. They will not only smell better, but this kind of candle also holds its color. This gives you a pleasant looking candle all the way through its burn. There are many different types of candles around. 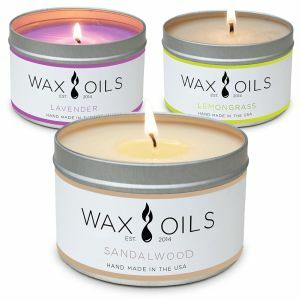 They’re made from different kinds of waxes and contain varying scents. One of the more useful ones around are soy candles. The benefits of soy candles range from longer burn time to cleaner air in your home thanks to less toxins released in the air from the wax. They may cost a bit more than your traditional wax candles, but they’re well worth it.